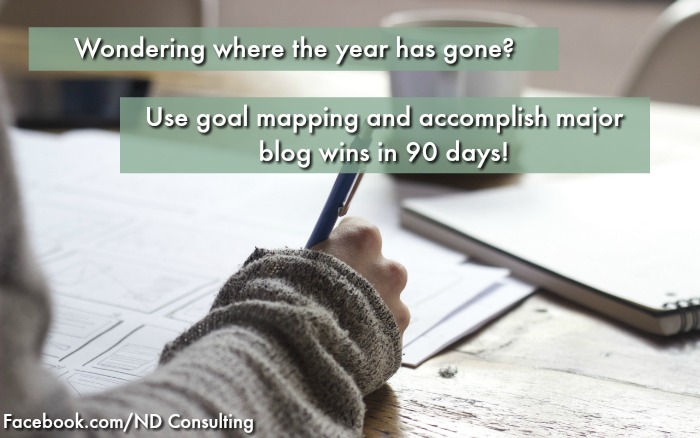 Goal mapping in 90-day increments can unlock monumental blog growth and income. Get a free workbook and learn how to set goals and never get off task while blogging for business! Do you reach the end of the year wondering where the time went? Is there one thing on your goals list that just didn’t materialize no matter how many times you tried? This is quite common with clients and I was also a victim of succumbing to the daily grind before I learned to map my goals. Please pin this if you don’t have time to really dig in right now, print off the workbook and pin this. It’s very popular with my clients because it works. Clearly define a motivating goal with a deadline. Identify the milestones needed to accomplish the goal (or move towards it). Add tasks to your calendar to define the start and due dates. I’ve created a workbook for clients and work through it with them when they have trouble defining goals. 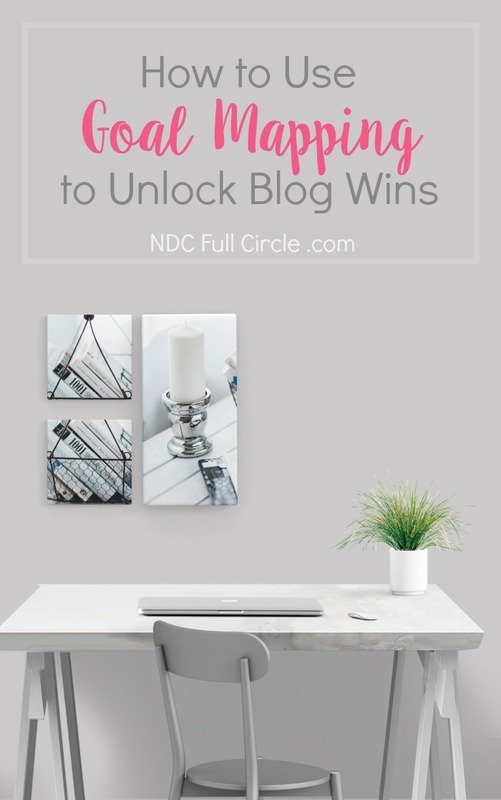 I also present this resource to help some move past barriers like burnout, income or traffic stagnation, or even to help ‘successful’ bloggers discover and accomplish their next big thing. If you’re a newsletter subscriber, you can get the goal mapping worksheet by accessing the Resource Library now. If you aren’t a subscriber, get instant access to it by signing up below for the password. As you can guess, there are only a few pieces to this. It isn’t difficult and works for linear and radiant thinkers alike. You don’t have to adopt some brand new planning or productivity system. You simply need a calendar (I use Google calendar because it sends me reminders / notifications), but anything will do. The first part is setting a goal for 90-days out. Do not worry about setting S.M.A.R.T. goals because those were designed for productivity. Nope, we’ll have productivity covered in our map. Goals should be clearly defined, sure, but make darn certain they aren’t boring. I give examples of clearly defined, motivating goals in the workbook. Metronomes keep musicians on tempo, mitigating the boring parts with the high-energy sections of a piece. There are dragging days in blogging when we’re working without wins and the viral days where we are laughing while worrying if our servers will go down. The valleys between the peaks can seem like eternity And it’s usually those valleys which throw us off our game. You get past them by identifying milestones under your 90-day goal – these are the specific, measurable, achievable, relevant, and timely (SMART) mini-wins that move you towards success. If you are already a subscriber, get the workbook from this week’s email or in the Resource Library. If you’re not a subscriber, get signed up here. 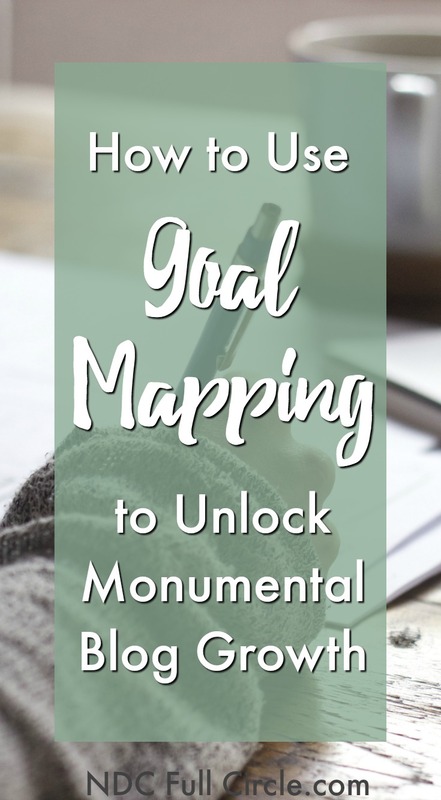 Get the goal mapping worksheets, use them today, and in 3 months time, instead of wondering where the time has gone, you’ll be celebrating your achievements! This process gives you the path to succeed. Please PIN this to your favorite blogging or productivity board so everyone can accomplish their blogging goals! Goal setting is definitely something I need to work on. I scanned through your worksheet briefly and it looks like just the push I needed to get it done. Awesome! I can’t wait to start this. I just signed up for this. I’m so off track. Just signed up for this and hope to start diving into it as soon as both kids get over their illnesses. I am definitely in need of help setting goals – I’m too busy to NOT have them more clearly defined. Oh, sick kiddos is stinky – I hope they sleep TONS and feel better soon. 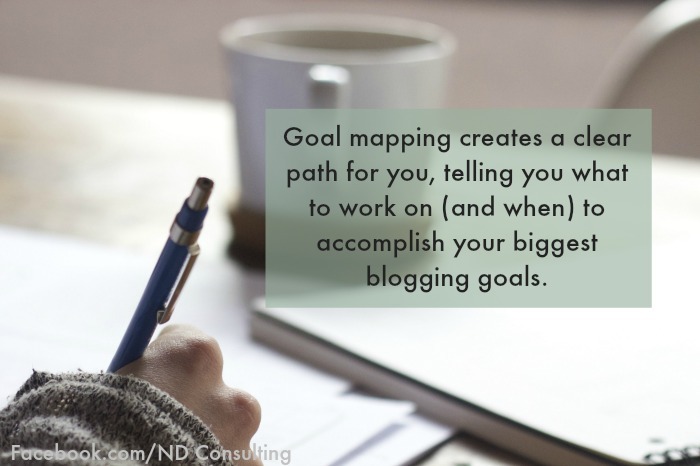 Let me know when you start with your goal mapping, Ivy – it can be a game-changer!